End of August Recap & Wall #2! I understand now why so many tiny house builders don’t blog very often even though they’re making progress! After a day of building, you don’t want to do anything but sit and eat and sleep. Then you get up the next day and repeat. In my last post I said I was planning on building that weekend, but it ended up pouring all weekend. Then my next days off were Wednesday and Thursday and it rained both of those days too. 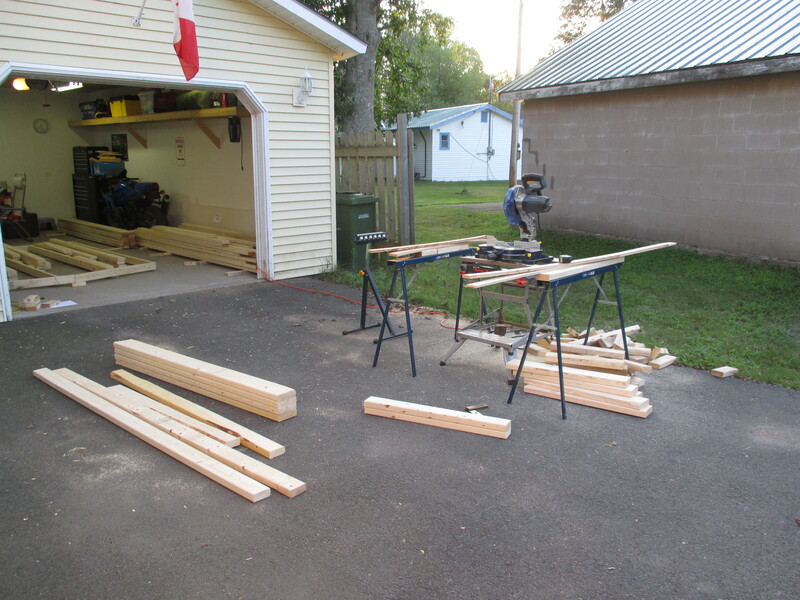 But I spent several hours re-organizing the garage and measuring all the pieces I would need for my walls. Then on Friday I started cutting. On Saturday I did a few more cuts and made my window and wheel well headers. I spent two hours one morning making the awkward, all-different angled pieces to fit around the wheel wells. Then yesterday I put together my front wall! I made all the bottom plates and tested them to make sure they fit onto the rods. I used the nail gun and made some headers. All the pieces ready to go, divided by wall. 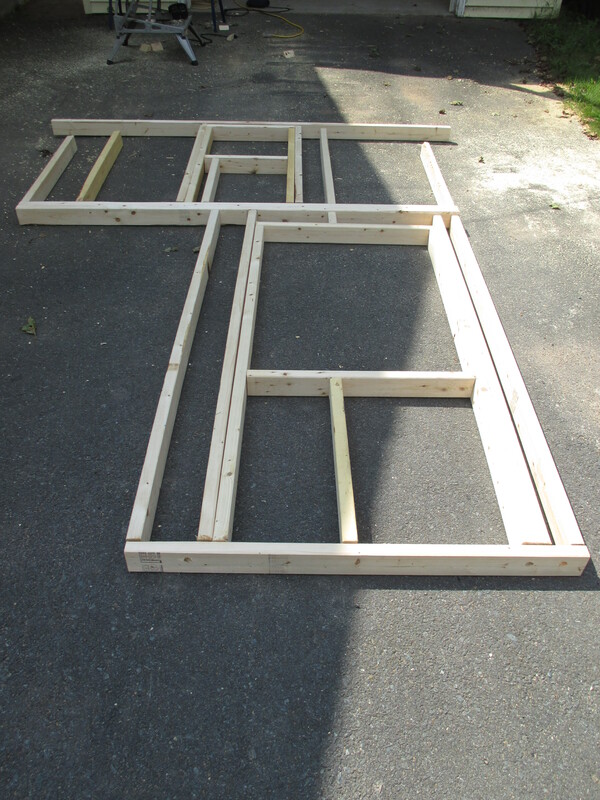 The front wall laid out and ready for nails (except for the not-yet-cut angled top plates). Test fitting the bottom part of the wall. All done and put away! There were a few small mistakes, at least four trips to hardware stores, and I managed to cut my hand on a mending plate, but I’m so proud! It’s still so unreal to me, that something I drew on paper a couple of years ago is becoming real, that I’m making it real. 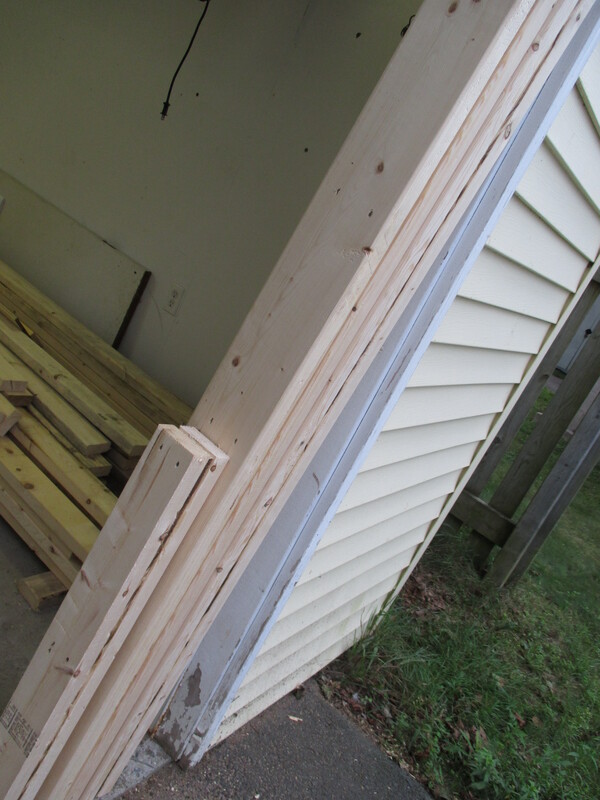 I worked on cutting some pieces for the side walls today, but unfortunately, I am STILL waiting on the engineer. She seems to have no concern for my build, and she acts as if I’m an annoyance every time I contact her. I asked her to look over the structure of my walls two months ago and she said they look fine, ignoring the half a dozen questions I sent her with the drawings. I have had to directly ask her questions, one by one, to get answers. My walls have changed so much based on her answers, so how were the original drawings “fine”? Yeah, the original drawings would have created a building, but I’m paying an engineer to make sure that the building is safe, strong, and built properly! There are some parts of construction that people disagree about and there are different ways of doing things, but I’m frustrated with how indifferent the engineer has been. I’m anxious about how much she’ll charge me in the end, for “time spent going back and forth”. One thing the engineer did tell me though is that I don’t really need hurricane strapping because the building is so small. Keep in mind, this engineer has worked on tiny houses before. 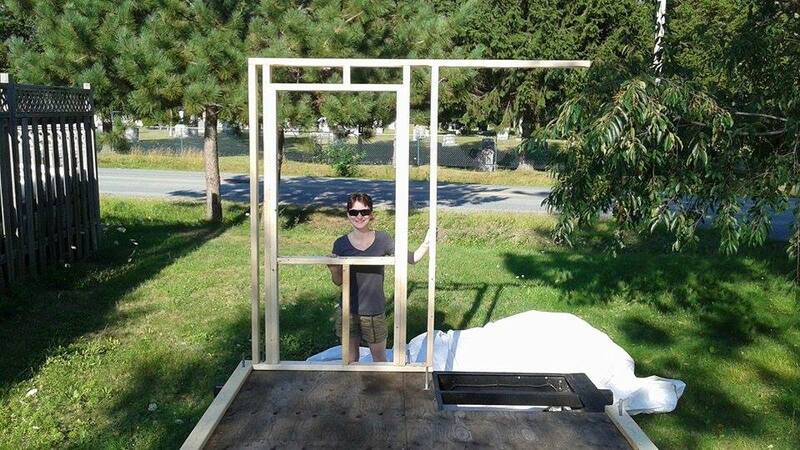 All the metal strapping on tiny house walls I’ve seen, the straps across the ridge board and rafters, metal pieces added here and there to make a stronger house that can withstand highway-speed winds – she says I don’t need any of it. I’m a bit skeptical, but it’d certainly be easier and cheaper to do without them, and houses have been built since before Simpson Strong Ties were invented. I’m still going to go take a look at what’s sold locally to see if there’s anything I want to include. 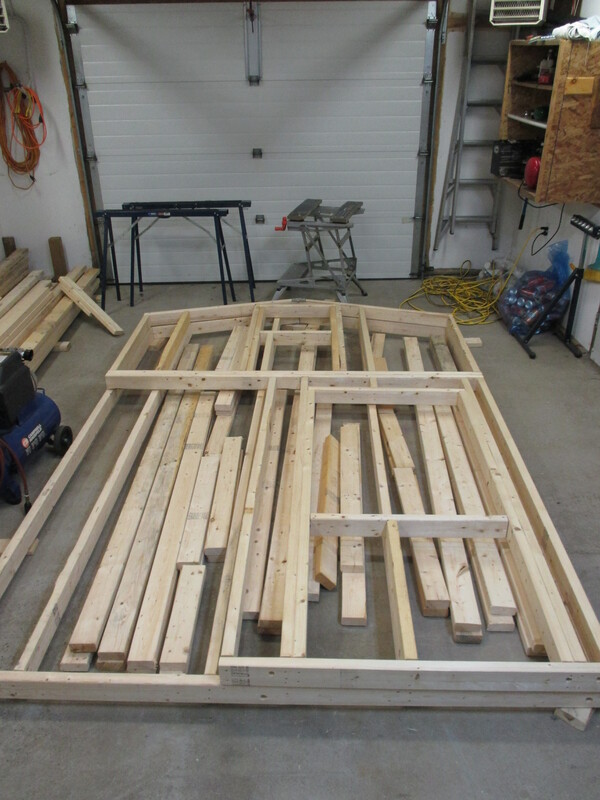 I was looking at the pile of 2x4s before I started cutting, and I have a weird amount of everything 😛 The walls have changed since I made the wood order, so now I have a lot of longer pieces I don’t necessarily need, and probably not enough 8 footers. 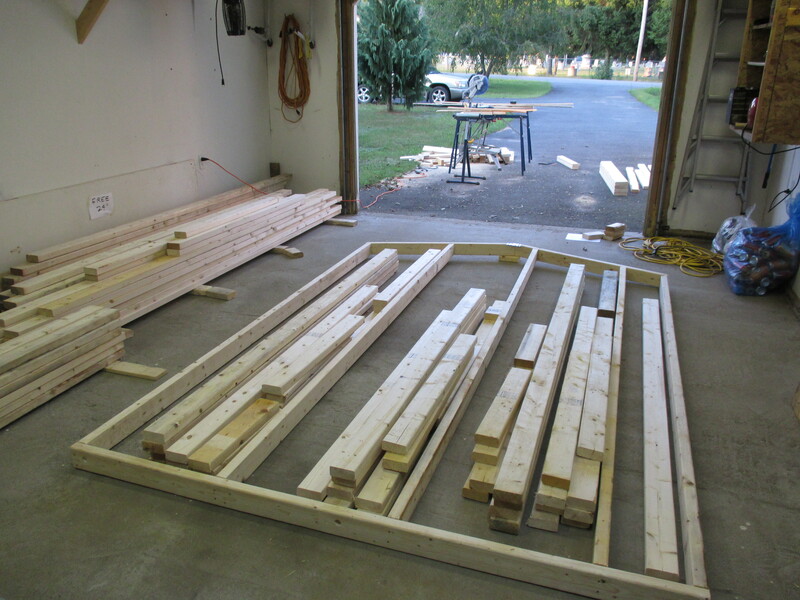 But I can fit 8′ boards in the van so I can go get more as I need them. It’s supposed to rain tomorrow and I work, but Saturday and Sunday I’m back to building! The board across represents the loft. And I ordered my windows! One thing I wish I would’ve done is use a notebook or a binder for all my tiny house notes and drawings. Having so many loose papers makes it so difficult to find the page I want. I also should’ve had more figured out before summer came around. It’s hard watching sunny days go by because I still have framing questions that need answers. 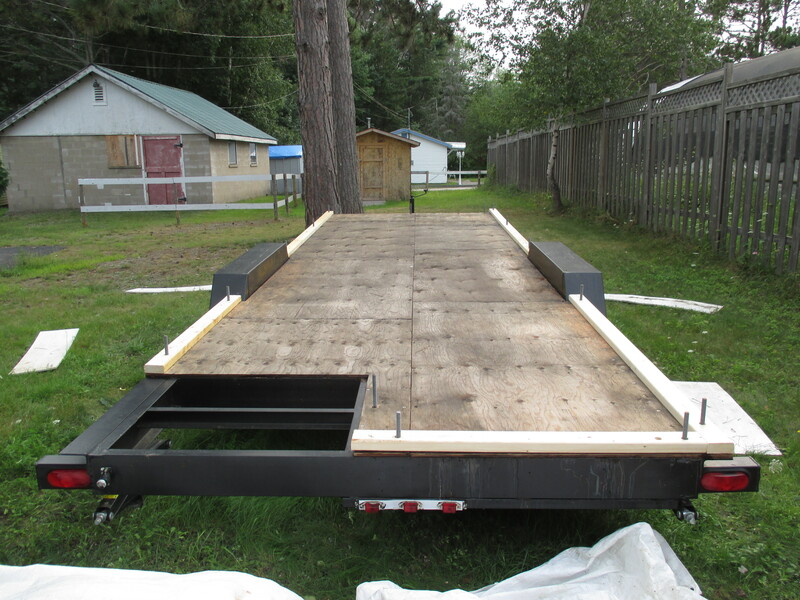 I wish I had progress to report, but the trailer is still wall-less and summer is getting away from me. Work, the weather, the engineer, the roofing, and calculations kept me from building before leaving for vacation for two weeks. One of my coworkers was on vacation for all of July, so I was working a lot, and then it seemed whenever I had a day off, it was raining. 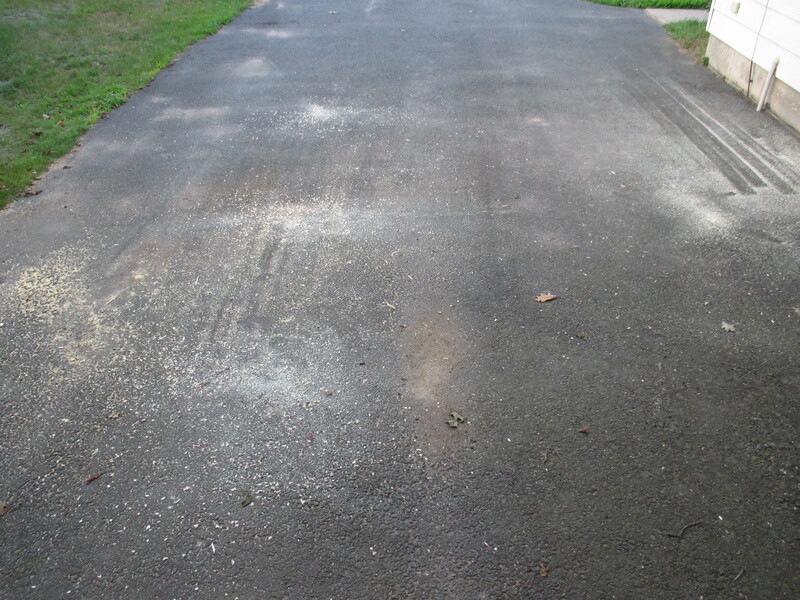 Now that I’m back, I still don’t have anything concrete from the engineer because she was out sick while I was gone. I haven’t been able to confidently start on the walls for several reasons. 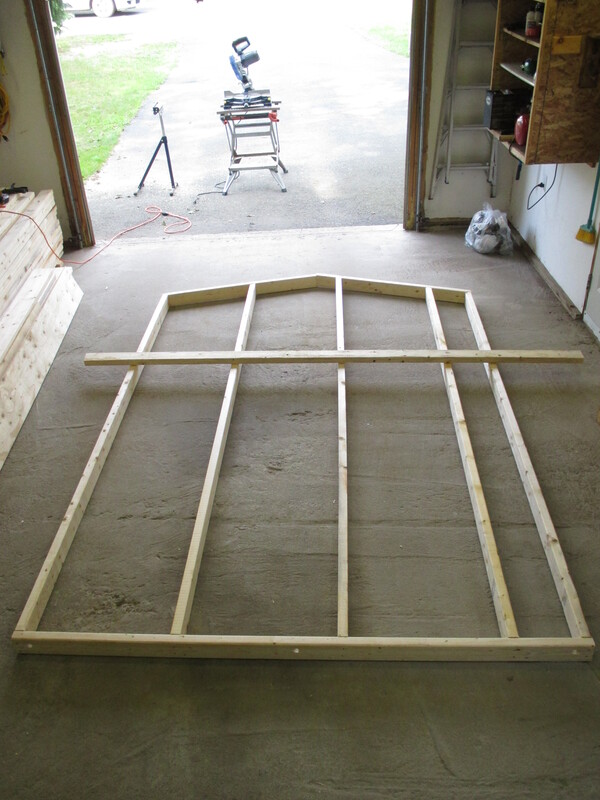 First, I had to figure out how high I can build the framing without the ridge cap of my roof exceeding 13’6″. In the design stage, I appreciated the creative challenge of making my house fit into road restrictions. However, trying to get my house to be as tall as possible without going over has proven to be annoying and unusual. I don’t have any examples to go by because I’m working backwards from a specific height, whereas with normal houses, it doesn’t matter how tall they end up. 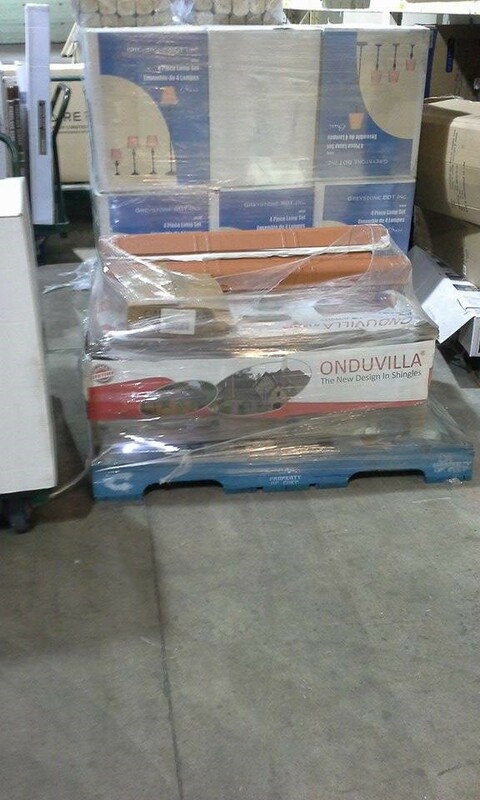 Then I found out that the only location in the Maritimes that sells the roofing I want, Onduvilla, is going to discontinue selling it. 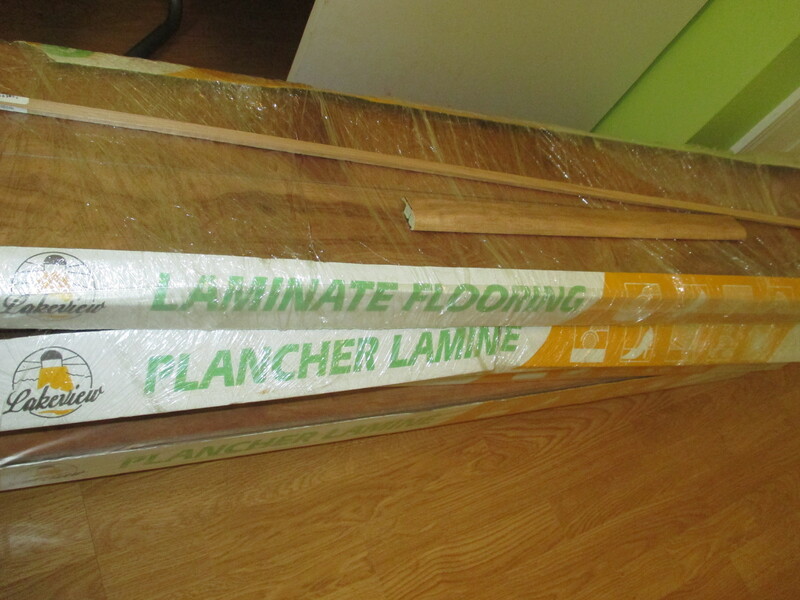 I hadn’t planned on ordering my roofing yet, but I wanted to get it before they stopped selling it! Since I want a special-order colour, I was told it could take 8 weeks or more, so all the more reason to order it right away. I was stressing for weeks about calculations and the framing and the roofing, and finally ordered the roofing the day I left for vacation. It arrived the day after we got back. So much for 8 weeks! I probably could’ve saved myself some stress by not worrying so much, but at least I have it now. It was exciting to go pick it up and see the orange colour in person. The house is going to look so good when it’s done! I’m having a hard time balancing the build with a social life, but I’m STILL emailing back and forth with the engineer so I can’t do much. I should have her okay in the next couple days though. This week coming up, I’m back to my lighter work schedule and I will be out building as much as possible!